The moon begins to wane in the light. The period of separation of female and male energies. The time of obtaining information, collecting data, assessing results, and understanding them. There is a practical result of your activity, started in the first quarter of the lunar cycle. A great time for mentoring. Generously share experience, and you will have many followers and assistants. It is very important not to be isolated from the society during this period, because a lot of useful information passes through you. Now you can find something that has long been unsuccessfully searched. At this time, energy is better spent, and appetite decreases. That is why, many nutritionists recommend starting the fight against excess weight and cellulite at this time. It is desirable during this phase to plant root and bulbous. Haircut hair with a waning moon will strengthen the hair, but they will grow slower than with the growing moon. The person who was born on the waning moon, completes the next cycle of reincarnation. The period of accumulation of new experience and external activity is over, the period of summarizing is coming, he is immersed in the inner world of his soul, his life is directed towards a small circle of people emotionally connected with him, this can be a family, a favorite occupation, less interest in what is happening outside. He can be occupied with a favorite thing, but the result, success is less important than for the person born on the growing Moon. He wants to enjoy his work, his own assessment of himself is more important to him than the external one. The beginning of the descent of the moon. The phase of the waning moon lasts 11-12 days. During this period, the activity of the biofield is transferred from the ground part of the plants to the roots. Consequently, the roots become sensitive and fragile, and the stems and branches of the plant react weakly to damage. This time is favorable for planting and planting root crops, picking, thinning, combating weeds and pests, root dressings, digging bulbs, tubers for storage. Cut flowers in this period for a long time remain fresh and do not fade, and the collected fruits are stored longer. Pruning plants is only possible if you want to slow the growth of shoots. Acceptable types of work: - transplantation (rooting of cuttings), especially "roots", ornamental plants; - loosening; - weeding best last 3-4 days of the phase; - pruning of overgrown plants; - removal of strawberry's mustache; - mowing of the lawn (to delay growth); - spraying from pests and diseases; - harvesting "rootlets" and rhizome medicinal plants; - bookmark compost heaps; - Organic root top dressing (good - phosphorus); - Cut flowers; - collection of fruits; - drying fruits, as well as herbs, flowers and roots of medicinal plants. It is not recommended to plant and plant. These are general recommendations for a waning moon, but also forget about the sign of the Zodiac in which the Moon is located, because all signs can be conditionally divided into fertile and sterile. The position of the moon in one of the signs determines the external impact of energy on plants, which affects their yield and growth. Accordingly, all work must be coordinated on the basis of the position of the moon in the sign of the Zodiac, which is the determining factor. Fruits and vegetables to be stored or preserved. Harvest the fruits and herbs you are about to dry. During this period, the activity of the biofield is transferred from the ground part of the plants to the roots. A few days after the full moon, you can begin to collect root crops, but it is better to wait for the last quarter closer to the new moon. The child, conceived in the third phase of the moon, is quite complex nature, he has a rich inner life, a very developed soul, but he can go on a false, dark path if he is not directed in the right direction in time. With the same quantity and quality of food we eat, we lose weight more easily with a waning moon. On the waning moon we relax a little, we lose the energy accumulated earlier. In nutrition, this affects the poor digestion of food in phases 3 and 4 of the moon, so we do not face excess weight in overeating and you can afford to eat a little. With a waning moon, the body readily and willingly uses energy, while remaining alert and strong. At this time, we are more tolerant of pain, coping with infection more quickly and recovering more easily after illness and surgeries. Rule: all surgical interventions (except urgent ones), all medical procedures associated with the burden on the body and requiring effort and energy, must be carried out only with the waning moon. With a waning moon, especially in the last quarter, the body easily and willingly uses energy, while remaining alert and strong. At this time, we are more tolerant of pain, coping with infection more quickly and recovering more easily after illness and surgeries. 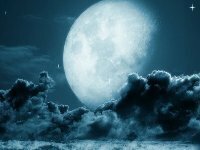 It is best to play a wedding on the growing Moon - this guarantees a constant interest in each other in the communication of the husband and wife. Except for some lunar days, which are considered favorable for the waning moon. After the full moon comes the next phase - the period of the waning moon. Despite the fact that she slowly begins to give up her positions, her strength is still very high. That's why this time is the best for getting rid of something: diseases, bad habits, superfluous people in your destiny. It is this period that is most favorable for the effective solution of those problems that poison the taste for life, such as divorce or getting rid of something bad once and for all. With the waning moon, you can get rid of all the flaws in the body. These days are useful peelings, diets, fighting bad habits. If you want to get rid of a bad mood and habitual way of life, then trim the tips of your hair.